There is no word limit for the recommendation of Ubuntu, you can even post your pictures, Poems, advertisements or even your anecdotes & experiances. Just submit your posts by 12pm (BST) on May 3rd. 1st $100 Ubuntu shop voucher & $50 Amazon voucher. 3rdUbuntu hoodie and Ubuntu travel mug. You can enter as many times as you like. 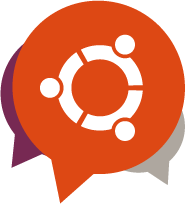 So whether you create it, find it, steal it or just say it, just speak up on the facebook Ubuntu contest page. And don’t forget to encourage your friends to Like your posts!